In February 2014, I gave a presentation at the conference on Faster, Smarter and Richer: Reshaping the library catalogue (FSR 2014), which was organized by the Associazione Italiana Biblioteche (AIB) and Biblioteca Apostolica Vaticana in Rome, Italy. 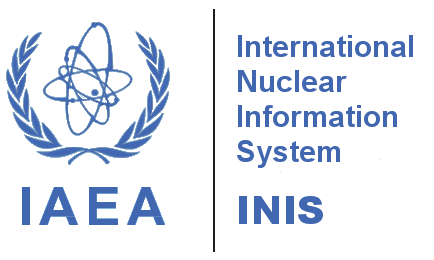 My presentation focused on the experience of the International Nuclear Information System (INIS) in using Google Search Appliance (GSA) to search digital library collections at the International Atomic Energy Agency (IAEA). Libraries are facing many challenges today. In addition to diminished funding and increased user expectations, the use of classic library catalogues is becoming an additional challenge. Library users require fast and easy access to information resources, regardless of whether the format is paper or electronic. Google Search, with its speed and simplicity, has established a new standard for information retrieval which did not exist with previous generations of library search facilities. Put in a position of David versus Goliath, many small, and even larger libraries, are losing the battle to Google, letting many of its users utilize it rather than library catalogues. The International Nuclear Information System (INIS) hosts one of the world's largest collections of published information on the peaceful uses of nuclear science and technology. It offers on-line access to a unique collection of 3.6 million bibliographic records and 483,000 full texts of non-conventional (grey) literature. This large digital library collection suffered from most of the well-known shortcomings of the classic library catalogue. Searching was complex and complicated, it required training in Boolean logic, full-text searching was not an option, and response time was slow. An opportune moment to improve the system came with the retirement of the previous catalogue software and the adoption of Google Search Appliance (GSA) as an organization-wide search engine standard. INIS was quick to realize the potential of using such a well-known application to replace its on-line catalogue. The presentation made during the conference talked about the advantages and disadvantages encountered during three years of GSA use. Based on specific INIS-based practice and experience, guidelines were offered on ways to improve classic collections of millions of bibliographic and full-text documents, while reaping multiple benefits, such as increased use, accessibility, usability, expandability and improved user search and retrieval experiences. Platform -Project, started in 2010, using Google Search Appliance© technology - renowned, simple, fast, flexible; Current version is 4.3 (January 2014); Virtual servers are within the IAEA, offering 24/7 availability. Accessibility -Free and open web-based application; No installation required; Mobile Apps available for iPAD, iPHONE and Android; Widget prepared allowing searches from other websites, with or without filter. Ease of use - Intuitive, self-explanatory initial screen; No previous INIS Collection knowledge required; A single search box communicates confidence to users that the search tool can meet their information needs from a single point of entry. Advanced Search - Offers more precise searches and metadata, as well as Boolean searches; Query builder has a built-in syntax generator; Ability to search for all words and exact phrase; Users can include or exclude metadata, select language; Range queries (2007..2009) and dropdown menus are available. Faceted search -Dynamic navigation through country, language, publication year, and INIS Volume. Expandability - ICS can be expanded to new collections, databases, repositories, new formats and type of documents. Multilingualism -ICS interface and INIS/ETDE Thesaurus are available in 8 languages, as well as a cross-language search. Authority Files -Journal titles, CODEN, ISSN, Subject category, Descriptor, Country/Organization, Author, and Report number authorities are incorporated in the ICS. Usability- Users can print or export results in different formats (PDF, HTML, Excel, XML), download citations in plain text, RIS format, RefWorks, EndNote, create RSS feeds, e-mail search results as a link; Stop words for languages other than English, and translation of bibliographic records into other languages using Google Translator. User profiling - User registration offers cross-Agency Single Sign-On, interface language set up, number of displayed results per page, saving queries and search updates, as well as emailing query results; Workspace concept also offers to save documents and translate into other languages. Help - FAQ -(on INIS and on ICS), on-line help, pop-up hints (examples on how to build a query using metadata), and e-training course are available. Main advantages are users’ familiarity with a Google-type interface, possibility to include many features in the foreground or background, scalability, and quick and relevant response to searches. Many features are available out of the box, with little configuration. GSA makes it easy to customize the UI by editing the XSLT. Dramatic impact of opening access to Google.com and Google Scholar. For example in 2013 - 50,000 searches and 3,000 downloads/month, and in 2014: 300,000 searches and 32,000 downloads/month. The decision to choose Google Search Appliance (GSA) as a replacement for the previous INIS classic library on-line catalogue was not an easy one. A number of available search engines were examined and evaluated, a team of various specialists was involved before deciding to select GSA. Although it might have seemed risky at the time, the last three years of GSA use has shown that it was the right decision that has brought considerable benefits, primarily to INIS Collection end-users. User satisfaction was obvious from the comments received. The number of visits dramatically increased and most importantly, the number of full-text document downloads went up. The initial increase in users came with the introduction of GSA, and was further increased by connecting INIS to WorldWideScience.org, and, finally, by making the INIS Collection available on Google.com and Google Scholar. The number of searches increased five times and the number of downloads increased more than ten times. In conclusion, the case of the INIS Collection Search shows that using GSA to search digital library collections is a good choice to attract more users and increase the use of available information resources and repositories.